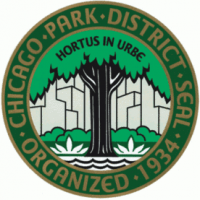 The Chicago Park District invites local nature lovers to Birding Class: Observe Our Birds from 7:45 a.m. to 9:45 a.m. on Saturday, May 4, 2019, at the McKinley Park field house, 2210 W. Pershing Road, Chicago. In this Meet Our Birds session, participants can observe migrating birds and participate a little nature bathing. Participants should bring binoculars, a notebook and a field guide (or borrow from others); they should dress for the weather and be prepared for muddy feet.